Lock it or lose it! Most cycle theft is the result of an opportunist coming across a bike that is not locked up or secured badly. To avoid this make sure you lock your bike up properly - even when you are just quickly 'popping into the shop'. There are many different types of lock available to protect your bike when you are leaving it unattended and the London Cyclist blog has a good guide to choosing the correct lock. Click here to learn how to keep your bike yours, the do's and don'ts of locking your bike up as well as some safe storage solutions. The difficult truth is that if a professional bike thief really wants to steal your bike, they will take it. Any lock no matter how bulky or expensive can be broken into and very few members of the public are going to disturb a maniac wielding a cordless angle grinder. For true peace of mind, we recommend insuring your beloved bicycle against theft through our insurance partner Cycle Sure. It is against the law to ride a bike on the road in the dark without lights for good reason. There is nothing more important you can do to make yourself visible on the road than having a high quality set of front and rear lights. Many different options are available, from small watch battery powered safety-lights, to huge Cree LED options that are rechargeable, have multiple modes, and are bright enough to rival the headlights on an HGV. Your choice should be dependent on your personal circumstances; ensure you have lights that are suitable for when and where you are riding your bike for optimum safety. 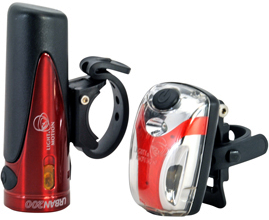 There are a wide variety of cycle lights available for both the front and rear of your bike. See the Why Cycle website for more details on bike lights. 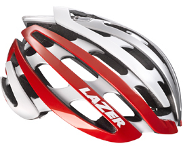 The helmet is designed to be worn whilst riding a bike to protect the head, in particular the brain, from any damage potentially caused by an accident. Currently there is no legislation in the UK to enforce cyclists to wear a helmet and the argument remains hotly debated as to whether or not wearing a helmet will actually save your life, so the decision to wear one has to be down to the individual rider. You can get more information and links to the current status of the debate by visiting Why Cycle. If you are going to wear a helmet it is important to make sure it fits you properly, read the Bike Hub guide to fitting your helmet properly, or speak to one of The Cycling Experts specialist retailers face-to-face to be sized up in-store. If cycling for sport, it is beneficial to wrap yourself in proper cycle-specific clothing. Padded shorts that sit directly against the skin will wick moisture away, whilst providing a layer of protection between you and the saddle. On longer rides (and especially road rides where the rider is relatively static on the bike) these are essential to prevent saddle sores from occurring. 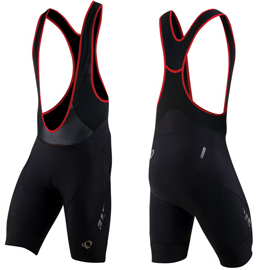 Base layers and cycling jerseys made from technical organic and synthetic fabrics provide good wicking properties, as well as rear-mounted pockets for carrying phones, tubes, a banana or your keys. Both long and short sleeve options are available for different weather conditions. There is no such thing as bad weather, only bad clothing choice, so when the weather turns nasty speak to your local specialist about the best wet weather gear to keep you cool and dry. Waterproof and breathable jackets, tights, overshoes and waterproof gloves can all help to turn a soggy, cold ride into a warm and comfortable one. Having a good selection of clothing that you can choose from and layer in different ways to suit the weather will keep you on the bike all year round. On longer rides, it is important to stay hydrated on the bike. Many different hydration systems are available for different riding styles and preferences. Road cyclists tend to have two bottle cages mounted to the bicycle itself. These are available in different materials, sizes and colours to suit your bicycle and the kind of bottle you will be carrying. Mountain bikers often opt to carry a 'hydration pack', which is a backpack containing a waterproof bladder with a long straw attached for easy no-hands access to fluids. 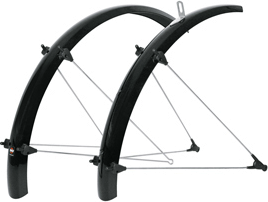 The hallmark of a true utility bike, proper full-length mudguards will keep you dry on the bike through all seasons. If you are riding in a group, they will also keep road debris and dirt out of the eyes of the person riding behind you; mudguards are mandatory throughout the winter months in the majority of cycling clubs. Have them professionally fitted to match the radius of your tyres at your local specialist bike shop for the ultimate in British utilitarian style. 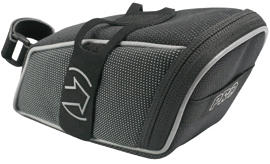 A saddle pack is a great piece of equipment for any cyclist to have. These small bags attach to the bike underneath the saddle with straps or a quick-fix mechanism, and are available in a number of different sizes that will fit anything from a spare tube and a multi-tool to your lunch. Cyclists who use their bike as their primary form of transportation, or who enjoy bicycle camping/adventuring/touring will require significantly larger luggage carrying capabilities. Many bicycles are equipped with eyelets allowing a rack and panniers to be attached. A wide variety of panniers for both the front and rear of the bicycle are available from The Experts specialist retailers, who will be happy to advise you further on the subject. For day-to-day transport and leisure cycling, specialist shoes and pedals should not be necessary. Sporting cyclists and anybody who's serious about their efficiency on the bike may wish to invest in a good quality pair of cycling-specific shoes and pedals. 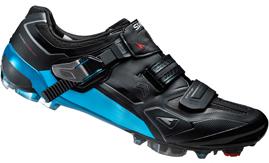 Modern 'clipless' pedals work similarly to ski bindings; 'cleats' attached to the bottom of your shoes snap into the pedal mechanism as soon as you stand on it. This allows the rider to effectively "pedal in circles", drastically increasing the riders speed, efficiency and improving pedalling technique. Most 'clipless' pedal mechanisms release when the rider twists their heel outwards. This allows a quick, easy and safe dismounting of the bicycle that is unfortunately not possible with a traditional 'clips and straps' set up. These are all of the key ingredients necessary to fix a puncture out on the road or trail. Why mess around with a puncture repair kit in the middle of a ride when you could just swap out your damaged tube for a fresh one? Tie a knot in the damaged tube (so you can differentiate it from your undamaged stash), and take it home, ready for repair at a later date. Once you have your technique down, you should require no more than one tyre lever to remove even the most stubborn of tyres, and no levers at all to get the tyre back on! 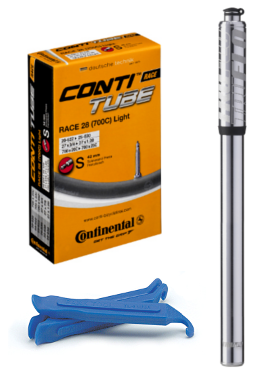 Visit Cytech to learn more about fixing a puncture. 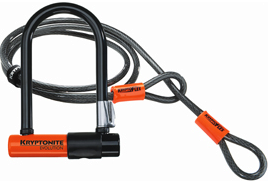 It is vital that you carry a pump that is compatible with your bicycle. Pumps are available with heads that are Presta or Schrader valve compatible, and some do both. Different barrel diameters are also available for specialist applications. The general rule is that a long, slender barrel is better suited to skinny road tyres, and a shorter, thicker barrel is more suited to chunky MTB tyres. Speak to your local Experts specialist retailer to learn more. In case of tears of cuts to your tyres, it is sometimes advisable to carry a tyre boot that fits inside your damaged tyre so that you can make it home. In a pinch these can be improvised out of a piece of cardboard or an old credit card, but it is always better to have the genuine article. 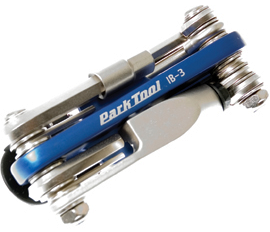 Multi-tools feature a few of the tools necessary to make basic adjustments to your bike on the fly, often including Allen keys, screwdrivers, Torx keys and spanners. These come in many different formats, the most popular of which being the familiar 'Swiss Army Tool' format. More expensive tools often come with luxury features like built-in tyre levers and chain tools. Many cyclists like to be able to track how far they've gone, how fast and in how long. For this a wireless cycle computer is so much more practical and elegant than mounting a smartphone to the bike (although this is also an option). Most modern cycle computers feature a number of different functions, often with different display options and backlights. The higher end computers now feature colour screens and GPS capabilities so that you can track your route and elevation data for later reflection, or to upload to cycling-specific social media sites like Strava or Garmin Connect.